Who doesn’t want to save more money? We're here to help. MSGCU offers generous CD rates and friendly people to help you take the next steps to success. Learn about the entire home-buying process. Plus, get a coupon for a free appraisal (worth up to $375). In addition to the steps we take to protect your information, there are things you can do to secure your personal information as well. The biggest dreams need the best loans. When you’re planning something big, we’re ready. 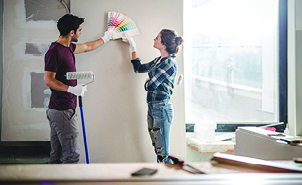 MSGCU home equity loans let you tap into your home to make your dreams come alive. Financial wellness is a vital part of a productive life, so we strive to provide knowledge that enables you to make better financial decisions each and every day. Find an upcoming free workshop and make plans to join us. Are you thinking of buying a new home? Our Mortgage Experts will walk you through the entire process, step-by-step. Learn the secrets of successful home-buying—including budgeting, prequalification, inspection, closing, and other valuable home purchasing tips. This free hands-on session is great for both first-time buyers and those looking to step into the market again. And in the meantime, feel free to research our mortgage products. Just a little thank you. Attend any one of our homebuyers' workshops and you'll get a coupon worth up to $375 to use toward a residential real estate appraisal when you get a mortgage from MSGCU. It's our way of saying thank you for letting us help you get into your dream home. After the workshop, one of our Mortgage Experts will give you a call to make sure we've answered all of your questions. Members and communities are at the center of everything that we do. You have goals to reach and dreams to achieve, and we are here to help you prosper. Michigan Schools & Government Credit Union is federally insured by the National Credit Union Administration. © 2018 MSGCU. All rights reserved. It's simple and secure to open an MSGCU membership online. Our application usually takes less than 10 minutes and you can fund your new account right away. Simply log in to Online Banking and select New Accounts. You can open Savings and Checking accounts, as well as CDs, in just a matter of minutes.